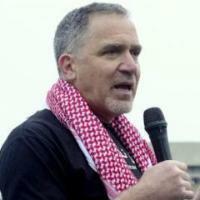 Miko Peled was born in Israel to a prominent Zionist family. His grandfather signed Israel’s Declaration of Independence. His father, Matti Peled served as a general in the 1967 war. He is an advocate for Palestinian rights and lectures widely on the Israeli-Palestinian conflict. He is the author of The General’s Son: Journey of an Israeli in Palestine and Injustice: The Story of the Holy Land Foundation Five.